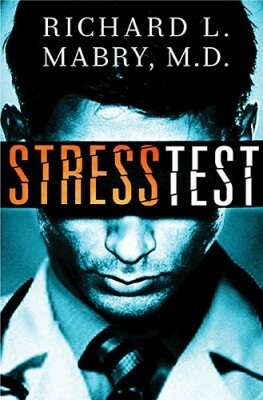 About Stress Test: They may not have enough evidence to convict him, but they have enough to ruin his life. Dr. Matt Newman thought he was leaving his life in private practice for a better one in academic medicine. But the kidnappers who attacked him as he left his last shift in the ER have no such plans-they just want him dead. Bound and in the trunk of his car, Matt's only thought is escape. He does so, but at a price: a head injury that lands him in the ICU . . . where he awakens to discover he's being charged with murder. Sandra Murray is a fiery, redheaded lawyer who swore she was done with doctors. But when Matt calls, she knows she can't walk away from defending someone who is truly innocent. Matt's career is going down the drain. His freedom and perhaps his life may be next. But with the police convinced he's a murderer and the kidnappers still trying to finish what they started, finding the truth-and the faith to keep going-will be the toughest stress test Matt has ever endured. I love a great, suspenseful novel that keeps me wondering! I enjoyed the medical aspect but also appreciated that it wasn't overly wordy, or like television shows. The faith aspect was of course my favorite part as I think an author can always promote the name of Christ. 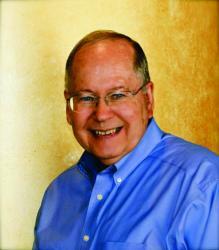 Meet Richard: A retired physician, Dr. Richard Mabry is the author of four critically acclaimed novels of medical suspense. His previous works have been finalists for the Carol Award and Romantic Times Reader's Choice Award, and have won the Selah Award. He is a past Vice-President of American Christian Fiction Writers and a member of the International Thriller Writers. He and his wife live in North Texas.